The Germans tried a lot of strange things towards the end of the war, but they weren't the only ones. There were plenty of bizarre weapons that stood no chance of working, but were tried anyway and sometimes even entered mass production. Allies, Axis, everyone made mistakes and then had to figure out some way to either hide them, sell them off to some other sucker country, or dispose of them as quietly as possible. With these, the basic watchword is: what were they thinking? The Kugelpanzer. Nobody really seems to know anything about this odd duck. 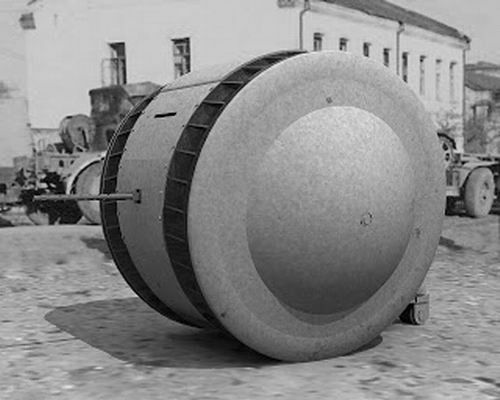 "Kugelpanzer" means, literally, "armored ball " The Soviets captured one at the end of the war. It is described as a "reconnaissance vehicle," and one can assume without having anything else to go on that there would be a couple of fellows inside walking as on a treadmill, with the big wheel a' turnin,' as the song goes. Presumably, the gun that is shown in the picture was retractable, thus allowing the wheel to spin freely. The wheel would be armored protection for the scouts. The idea is at least comprehensible. Nobody wants to be shot while on recon. However, the World War II battlefield was fluid. It rolled back and forth (so to speak) over vast amounts of territory, hills and dales and all the way to grandmother's house in the end. The terrain, in other words, would have been uneven, with plenty of things in the way of this contraption. The Kugelpanzer looks much more useful for a World War I-type scenario, with static lines backed by trenches and broad fields of fire that have been leveled by artillery. A single copy of this vehicle was captured by the Red Army. It is currently on display at Kubinka Tank Museum, in the section devoted to German tanks. The Kugelpanzer is only referred to as "object 37." It is painted in bright gray. The history of this vehicle is unknown, and nobody even knows who built it. This weapon system challenges two widely held thoughts: that only Admirals are the ones that re-fight the last war in a new one, and that Winston Churchill was a military genius. During World War I, the front line, at least on the Western Front, invariably was composed of fixed lines of trenches. These were extremely difficult to penetrate and cost huge numbers of lives for each breakthrough. The Battle of the Somme in 1916 caused huge scars on the British psyche due to the massive losses suffered for paltry gains of a few kilometers. Various methods were tried to make the process less painful, such as building long tunnels to plant massive mines under the enemy trenches, but nothing really solved the problem except massive preponderance of strength. 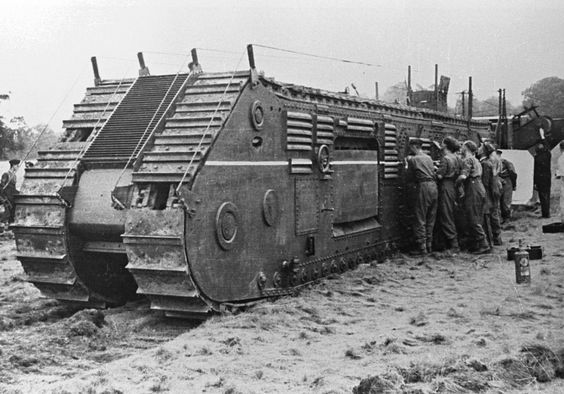 Winston Churchill was in the War Cabinet during World War I, and during that war, he had come up with the idea of a tank-like vehicle that would solve the problem of "going over the top" by plowing through the ground itself, sort of like a tunnel excavator except on the surface. This machine would dig its own trench straight into the enemy trench, allowing troops to run through the new trench and attack the enemy without exposing themselves. It actually was a clever idea during World War I, and the general theory led in a roundabout way to the first tanks that were used at the battle of Cambrai. 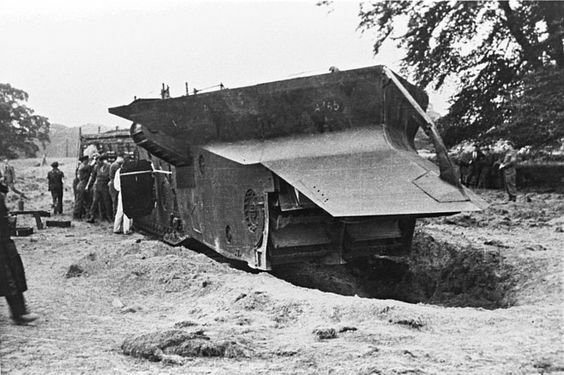 However, while tanks were a fantastic idea, the trench-digger machine was not - at least under circumstances other than those faced during the Great War. World War II was a fluid battle of movement, with few trenches and constantly shifting front lines. Churchill was undeterred. He was determined to create a machine that had been such a novel idea in 1916 but by World War II was more of a Rube Goldberg idea. As First Lord of the Admiralty, he basically ran the British war effort from the first day of the war (Prime Minister Chamberlain basically left the running of the war to the War Cabinet and seldom even attended its meetings - leaving Churchill in charge). The period of the "Phoney Way," in fact, was the only period when conditions were at all similar to those of World War I, with the BEF languishing in trenches in France, and thus created an environment conducive for the idea to gain some currency. Churchill started the ball rolling in October 1939, telling the Director of Naval Construction Stanley Goddall to work something up. Goodall created the Department of Naval Land Equipment - the only naval involvement being to transport the beast across the English Channel - and went to work. The aptly named Frank Spanner designed the machine. The Phoney War lasted long enough for Spanner to create a four-foot scale model. Churchill loved it when it was demonstrated to him on 12 December 1939. He convinced the French to support the project, and the firm Ruston-Bucyrus Ltd. was hired to produce it. The French went to work testing the soil to see where the machine - unofficially called White Rabbit Number 6, then Cultivator No. 6, then N.L.E. Tractor or "Nellie" for short - could be used. This experimentation caused much of the French patrol activity that month. The final machine was 77 feet 6 inches (23.62 m), in two parts that were hinged together for transportation. It was 130 tons, twice as heavy as the heaviest tank of the conflict - showing the practicality of dividing it into two sections. Nellie wasn't a completely outrageous idea at the time - strangely, someone else also designed a competing machine. 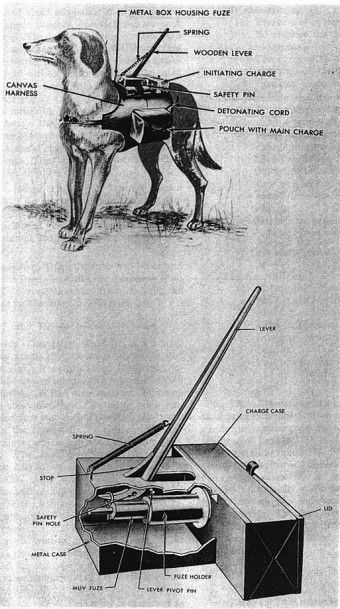 Cecil Vandepeer Clarke, one of the more original British inventors who had come up with the fantastic limpet mine, proposed an alternate version which sort of combined Nellie with the idea of planting mines under enemy trenches. Clarke's machine actually made more sense, but within a few months, he dropped out of the entire project because it was just too silly. The German blitzkrieg of May 1940 exploded the idea that trench warfare would be the norm in World War II as it had in World War I. Churchill cut back the project - but he didn't end it. In fact, work continued throughout 1940, and a prototype machine, ultimately named N.L.E Trenching Machine Mark I, was completed in May 1941. It was a fantastic machine that did exactly what it was supposed to do. Plans were to make dozens of them, but the machines (only a few were built) were never used because they were completely useless under modern warfare conditions. Churchill mentioned the project in his memoirs, noting, ""I am responsible but impenitent." It is unclear what happened to the few that were built - they likely were quietly scrapped. 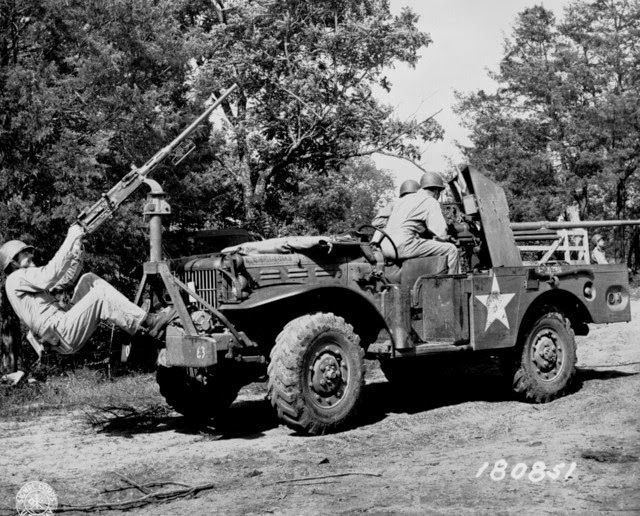 Putting a 37mm machine gun on a jeep is a little like putting a 14-inch gun on a destroyer. While it might work in theory, there are limits to what a gun platform can handle in real life. But, I suppose if you don't try, you'll never really know - right? Well, apparently. That's an M6 37mm GMC, a combination of the Dodge WC51 1.5 ton truck and the M6 37mm gun (as used on the M3A1, M3A3, M5, and M5A1 light tanks). They were used in Tunisia and were useless, and manning one in combat would've been suicidal. 5400 were built from spring 1942, usage after the North African campaign was limited. A few were used in the Pacific, while others were used for training. The vast majority simply had their guns removed and were brought back to WC51 standard. Yes, they look kind of cool, in a weird way. To their credit, the Luftwaffe leaders were always open to fantastic new ideas and seemingly crazy advances in technology. Any air force that would get a flying wing into the air during World War II was thinking far, far ahead. Laugh at some of their comically bad rocket planes all you want, their technology is what got the US to the Moon in 1969. But sometimes the Germans just went off on some kind of fantastic voyage of wishful thinking. 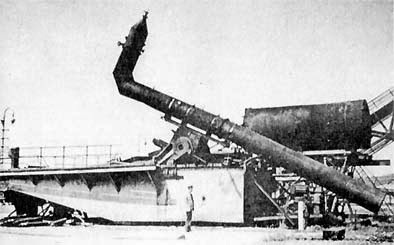 The German Sonic Cannon aka "Thunder Cannon" was a prime example. Remember that scene in "Back to the Future"? Yeah, something like that. Incredibly, they actually built the sonic cannon. Axis engineers were intrigued by the possibilities of using sound as a weapon. 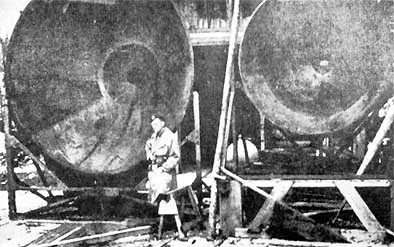 They decided that if they built a big enough sound reflector, they could literally shake opposing soldiers apart using sound beams and down enemy bombers in the bargain. Not only did this crazy project receive official approval, it actually led to some prototypes being built. 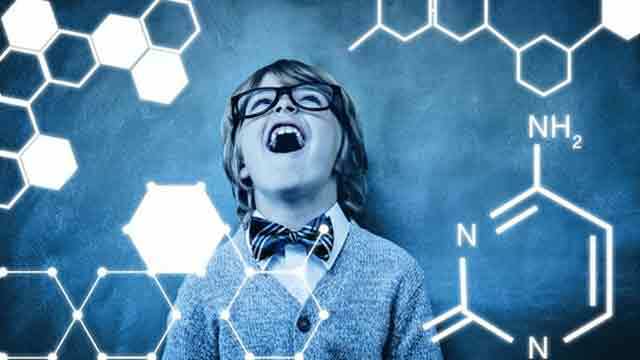 As always with these wacky projects, there was good theoretical science to be found at its core. However, "There's many a slip 'twixt the cup and the lip," and such was the case with the Thunder Cannon (callingPussycatpussycat meow cannon was completely out of the question). Reportedly, in recent times Israel has had the same idea, so it wasn't completely crazy. But it came darn close. Desperate for anything in the final days of the war, the Thunder Cannon reportedly were deployed, aimed, turned on - and did nothing. Somehow the scientists had forgotten to account for dispersal effects of intervening air or something. In any event, even if it did anything, one blind shot with a rifle from a thousand yards and the thing was toast anyone, it was practically a rifle-range target with a bulls-eye at the middle. Good heavens, Miss Sakamoto - you're beautiful! But it would have been beautiful. The French Char 2C tank was the brilliant idea of a French bureaucrat during the closing days of World War I. Hearing that the British had come up with this thing called "tanks," he decided that anything they could do, the French could do better. The British refused to give any of their tanks over unless the French made the effort of building their own, so this fine fellow - General Léon Augustin Jean Marie Mourret - decided he would make a big tank. A really big tank. 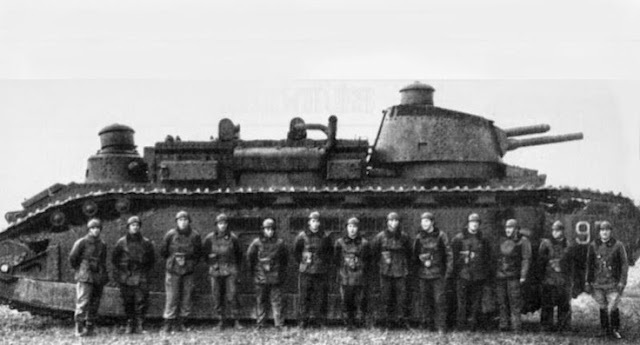 What resulted was the Char 2C, which held an 11-man crew in two separate compartments. Here is the 11-man crew of the monster, with one more to run after it and push. 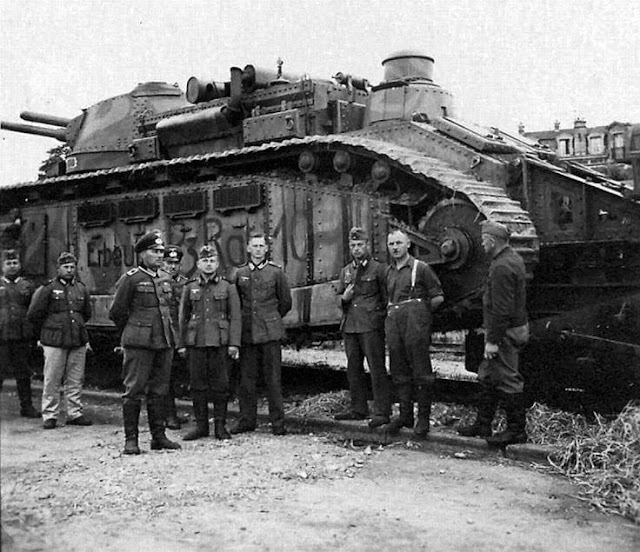 This colossal mistake took years to finalize and Mourret was promptly fired, but the contracts had been signed and delivery took place in 1921, three long years after the war had ended and eliminated any need for monster tanks. The French loved their big tank and kept it in service throughout the inter-war years, proudly making propaganda films showing their mighty tanks (there were ten of them) crushing fortress walls and the like. When World War II started, the tanks were kept safely behind the lines because time had passed them by. They were slow, under-gunned, and the most inviting targets ever placed on a battlefield. Sent by train to the south of France to avoid the ignominy of having the pride of France captured, the guns never made it due to rail problems. All were blown up except one, which the German took to Berlin to make crude jokes about. Rumor is that may ultimately have made its way to Moscow. Someone came up with the idea of using wind as a way to solve the problem of all those bombers flying over German cities. Hey, if a sound weapon was considered feasible, wind sounds positively like child's play to develop. You have to give the German designers credit for originality... if you want to call it that. 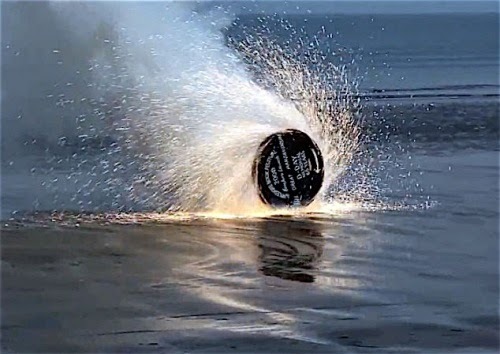 The WindKanone was a 3-foot-diameter, 35-foot-long cast-iron tube packed with an explosive mixture of hydrogen and ammonia that, upon detonation, would eject a “shell” of compressed air. A factory near Stuttgart built this, and it worked - kind of. It did create a big wind, which did hit planes. However, even the lowest-flying aircraft barely noticed the WindKanone. Then the Germans tried to use it against troops in the field - but it was such an easy target that anyone manning it stood no chance of survival. The project was abandoned, and the Americans captured a surviving example in 1945. 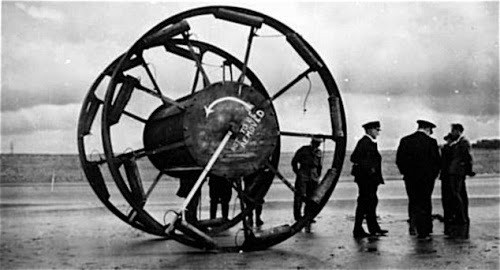 But if you think the WindKanone was created to no effect, you are dead wrong - a whole staff of engineers kept themselves from being sent to the Russian Front while they worked on this baby. Plus, there was another, even more impressive idea floated by the engineers - the death ray. However, that one was never actually built. No, the British do not get off Scot-free in this area of crazy weapons. They had their share of odd ducks, some of which actually worked (such as the limpet mine) and some of which sort of worked ... but beg the question of why? The British General Staff was obsessively worried about trying to invade northwestern Europe - which, in the end, turned out to be relatively easy and straightforward. However, they had built this prospect in their minds into such a frightful event, a worry supported by the disastrous Dieppe raid of August 1942, that they looked for any panacea solution that might assure victory. Sure enough, the boffins were ready with all sorts of ideas. One was an odd device - called The Great Panjandrum because, well, nothing else seemed to fit - that consisted of two 10-foot-tall wheels linked by an axle that contained two tons of explosives. Rockets were attached to the wheels to send it flying like the Devil himself at the impregnable German fortifications. Relieved to finally, at long last, have found a solution to Rommel's Atlantic Wall, the Army built a prototype. What they found is that the rockets - you can count them in the picture, there are nine on each wheel - would usually work, but one invariably would misfire or jog loose or do some other crazy thing, sending the contraption anywhere but its target - and quite possibly in a circle straight back to the sender. A 2009 replica works - for 50 meters instead of 500. 50 meters wouldn't have even gotten it off the beach. A film crew witnessed the last test of the Great Panjandrum and, sure enough, the thing made a circle and headed straight for them. They barely got away with their lives. That was the end of a glorious experiment. The Great Exploding Rat programme. The British had been forced into ignominious retreat from the Continent, and they were itching to get even. Anything that might ruin the Germans' bliss and might wipe that self-satisfied grin off their Teutonic faces was tried - anything. 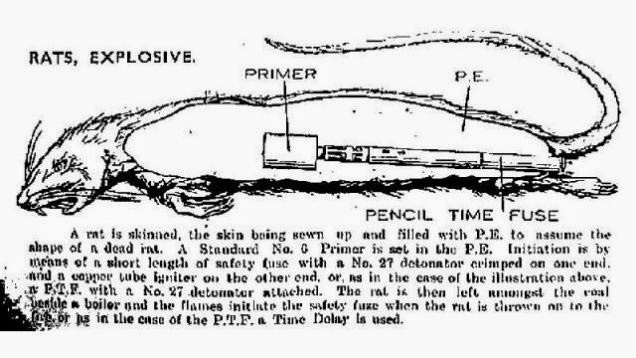 A clever - perhaps too-clever - British Special Ops agent came up with the idea of using exploding dead rats to kill Germans. No, it wasn't as sinister as infecting them with Bubonic Plague or anything like that. Instead, the idea was to take dead rats, eviscerate them, and replace their internals with plastic explosives. Agents would then place them carefully beside German furnaces in places like Gestapo headquarters. The theory - and it was so ingenious it makes your head spin - was that the evil Germans would see the dead rats, notice that they were conveniently positioned next to blazing furnaces, and promptly throw them in the fire. This would set off the explosive charge and take down the whole building. That man deserved a raise. It was the very definition of "diabolical." 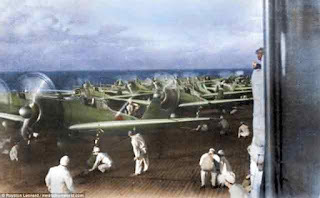 However, a problem presented it early on - the container of dead rats was sent across the Channel to French agents, but the Germans intercepted it, with instructions for use and so forth. This had an extraordinary effect on Wehrmacht troops in France, who thereafter scoured their environs for dead rats, neglecting their duties and resulting in all sorts of wasted effort. But as for rats that exploded? Not a one ever did. Suicide dogs! What could go wrong? Many know the story of Pavlov's Dog. Ivan Pavlov was the famous Russian physiologist who tortured generations of dogs in order to establish that he could condition them to begin salivating if he repeated the same motions as he usually did when he was about to feed them, even if he actually had no food for them. This was the basis for all sorts of manipulations of crowds, and the Soviet government, as you can well imagine, loved this guy to pieces. Someone came up with the brilliant idea to use Dr. Pavlov's ideas to win the war. Instead of training dogs to expect food when it was time to be fed, they would train them to expect food under enemy tanks. From that, it was but a simple step to the conclusion that, once under those enemy tanks, those dogs were in position to do something mighty useful. So, an entire corps of dogs was trained to expect to find food under Panzers. Then, being kept hungry on the appointed day, the dogs would be let loose within sight of such a Panzer - crewed by Germans attacking Russian positions. 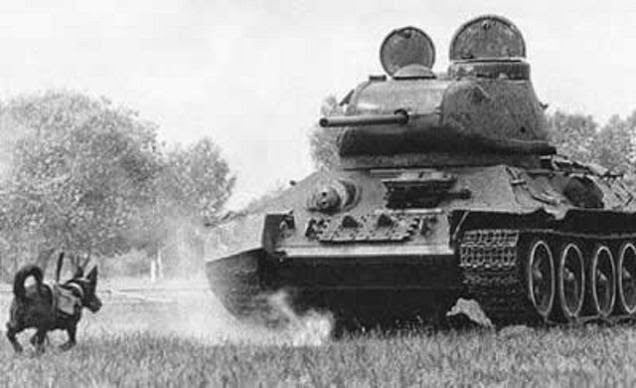 Unbeknownst to the dogs, the Soviets also on that day strapped some high explosive to the dogs with a trip wire that extended into the air and would be activated by the underside of the tank. Against all odds, this project worked. It was a masterpiece of conversion of hard science into practical application. Some 40,000 dogs were used, and it is estimated that they blew up some 300 tanks - more than any single Russian soldier ever did. Word got around the Wehrmacht, as such things tend to do. Before long, the Germans were shooting wildly at every stray mongrel they saw to the befuddlement of the Russians.